These days, if you're a designer, photographer, visual artist, or anyone else who deals with digital images, you know how difficult it can be to protect your intellectual property. 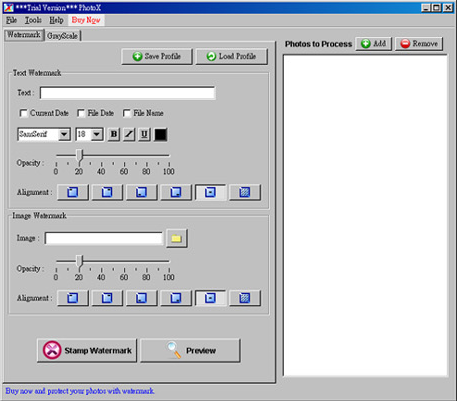 PhotoX Batch Watermark Creator is a digital watermarking application that makes it easy to stamp photographs and images with your copyright and/or company information. You can add image/logo watermarks in addition to text watermarks, and the stamp can be set in multiple positions and orientations. It can even be aligned diagonally. You can also adjust the opacity of the watermark to ensure readability. 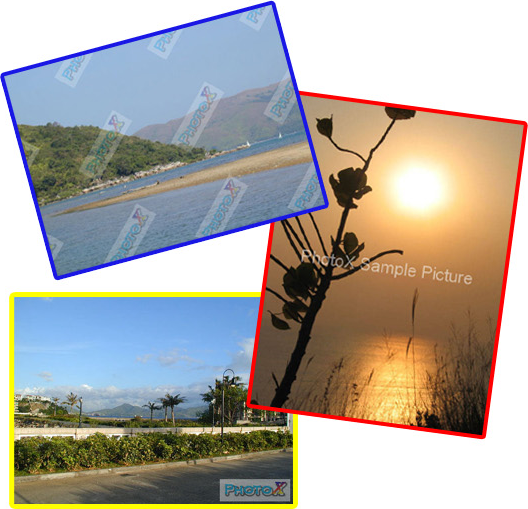 Best of all, PhotoX Batch Watermark Creator can protect as many photos as you want with a single click! Supports BMP, JPEG (JPG), PNG, PNM, RAW, TIFF, and WBMP file types. Click the big button at bottom of the application to preview your watermark or generate the output. 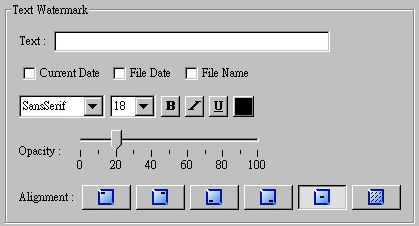 No image distortion, adjustable opacity. Customizable text includes Font, Size, Bold, Italic, Underline and Color parameters.